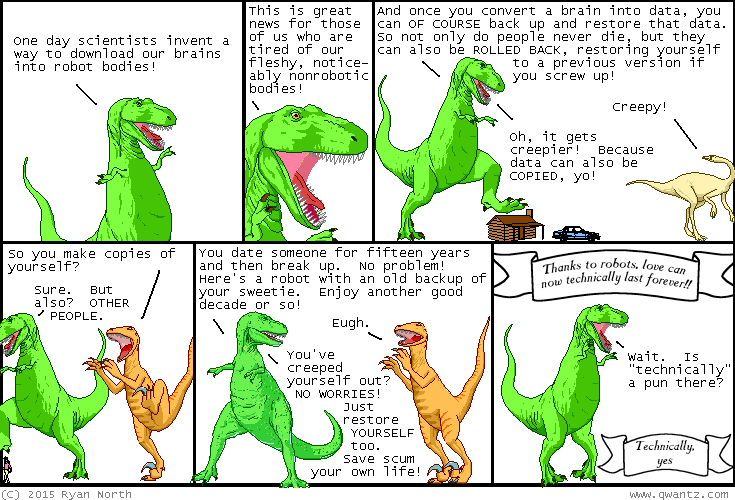 Dinosaur Comics - July 29th, 2015 - awesome fun times! –... and bring it to term with a surrogate mother who is herself married! One year ago today: take my film advice... please!